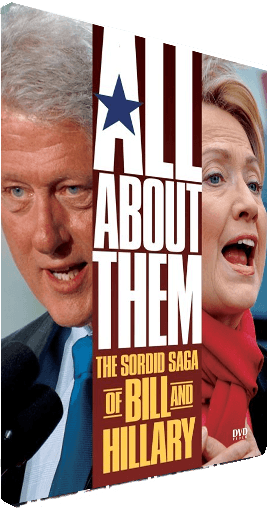 Gain insight into Bill & Hillary’s college days…philandering, Whitewater, Hillary’s money schemes, Mena Arkansas and drug running, Chinagate, Vince Foster, Kathleen Willey, Ron Brown and so much more. The Clintons have applied their considerable skills to survive a series of scandals that would have paralyzed any ordinary politician. There is little evidence, however, that their skills were used to benefit the American people. Bill Clinton issued 140 pardons in the closing hours of his presidency. They include crooks, con men, bank robbers, drug smugglers, relatives ex-girlfriends, perjurers, tax evaders, money launderers, international fugitives and even terrorists.